All guitars at Crossroads Guitar Shop are PLEK’d for perfection to ensure optimum playability, a $200 added value! Yes, we Plek them here in our shop. Please check out our shop policies prior to purchasing and feel free to contact us with any questions. Thank you. The 514-CE is the perfect choice for fingerpickers and lighter strummers. 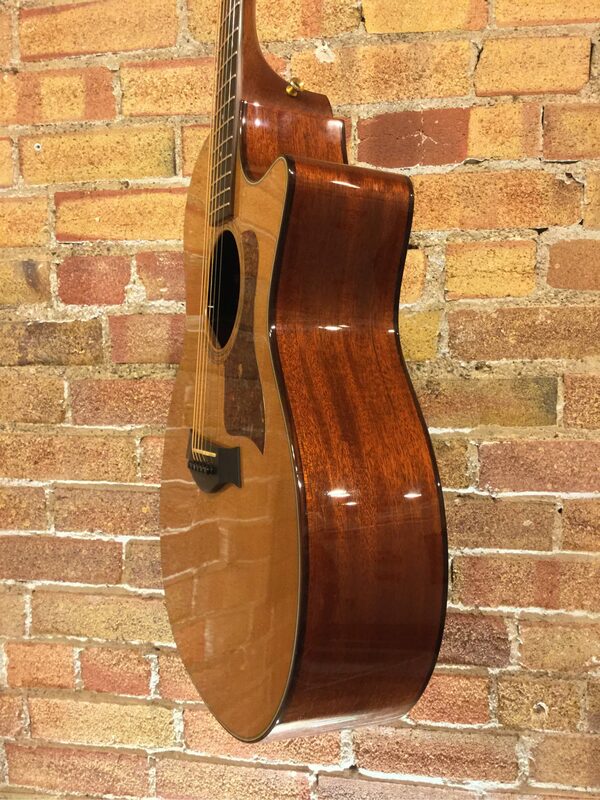 The Western Cedar top pairs nicely with the mahogany back and sides. Cedar is less dense than spruce, and that softness typically translates into a sense of sonic warmth. If Sitka has a full dynamic range, cedar makes quieter tones louder, but it also imposes more of a ceiling on high volume levels driven by an aggressive attack. If one tries to drive a cedar top hard, at a certain point it will reach a volume limit. 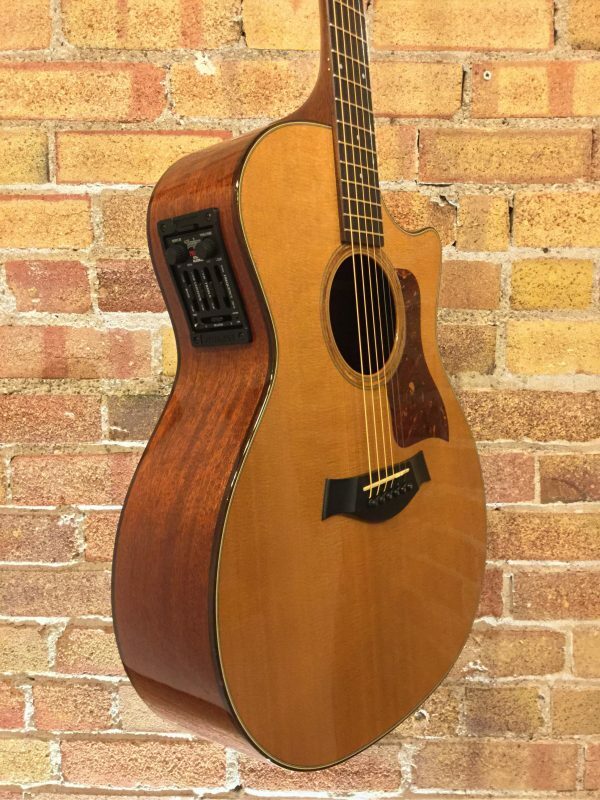 Typically, players with a lighter touch sound wonderful on a cedar-top guitar, fingerstyle players especially — that lighter touch will be amplified a little more, and one’s attack never reaches the ceiling. Flatpickers are likely to hit the ceiling fast, and might be frustrated by an inability to get the tonal output to match their attack. 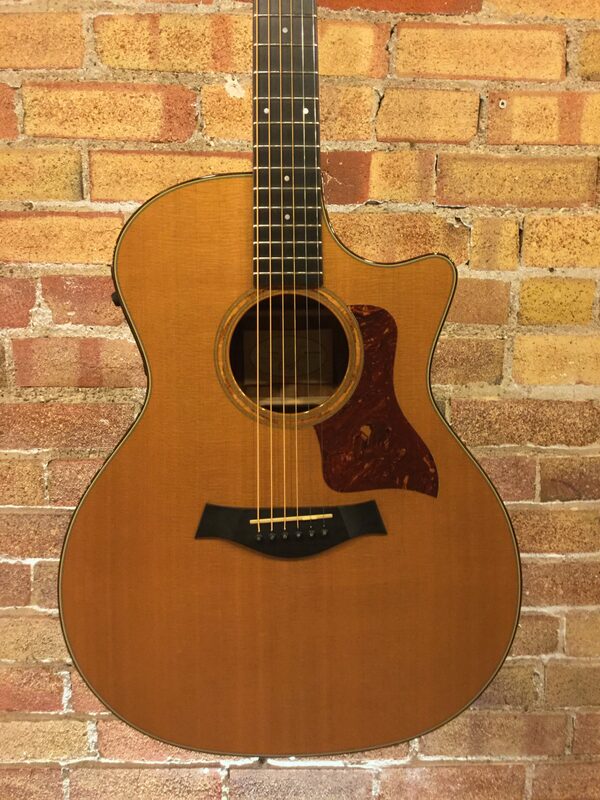 One of the last years Taylor used the Fishman preamp blender system, preferred by many players over their own expression system now being used. Has some light player wear and dings but is in almost excellent condition because of it’s age and playabality. Comes with original hardcase.